Twin Oaks Community Services nam¬ed Derry Holland (pictured), LCSW its new president and Karen Tanger, MS, its new chief operating officer. Both Holland and Tanger have been with Twin Oaks for over 25 years. The Joseph Fund, a Camden-based nonprofit, named Jim Catrambone its executive director. Catrambone, of Haddon Township, will be responsible for operations, fundraising, budgeting and community outreach to benefit St. Joseph’s Pro-Cathedral programs, including housing and community development, education and youth programs and transitional housing for homeless citizens. 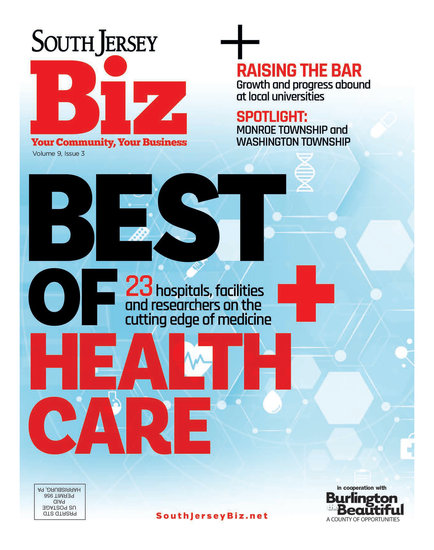 Lisa Morina, vice president of marketing and external affairs with Kennedy Health, was named chair of the board of directors of the Gloucester County Chamber of Commerce. Morina will serve a two-year term for the 785-member organization, will preside over all board and executive board meetings, and serve as the ex officio member of all Chamber committees. Moorestown’s David Eisen, senior vice president of investments at UBS Financial Services Inc., was named one of Barron’s 2015 Top Financial Advisors in Pennsylvania. Eisen, who works in Philadelphia, was previously ranked No. 26 in 2014 and is currently ranked No. 21. Continuum Health Alliance appointed Robert S. Trivett to chief operating officer. He will help to promote Continuum’s mission and core values, creating operational policies and strategies, and aligning employees with the company’s corporate goals. Majors Terry and Susan Wood have been named the new administrator and associate administrator, respectively, for the Ray and Joan Kroc Corps Community Center. Adam G. Ciongoli was named Campbell Soup Company’s senior vice president, general counsel. Ciongoli will be responsible for the activities in the company’s legal, secretary and government relations sectors. Barry Haring joined Cherry Hill-based York Risk Services Group, a provider of insurance services, as vice president of sales, Northeast, for York’s programs division. Haring will be responsible for driving the development of new business from both prospective and existing MGA, PA and carrier clients in the northeast region. Published (and copyrighted) in South Jersey Biz, Volume 5, Issue 6 (June, 2015).